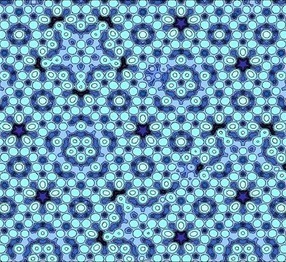 What are Quasicrystals, and What Makes Them Nobel-Worthy? 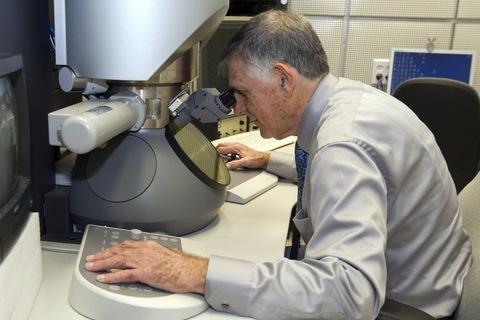 Chemistry Nobel Prize winner Israeli scientist Daniel Shechtman looks through a microscope at the Technion Institute of Technology. Photo by AFP/ Getty Images. The 2011 Nobel Prize in chemistry was awarded on Wednesday to an Israeli scientist named Dan Shechtman who discovered a type of crystal so strange and unusual that it upset the prevailing views on the atomic structure of matter, leading to a paradigm shift in chemistry. But why? What’s so special about quasicrystals? Schectman’s is an interesting story, involving a fierce battle against established science, ridicule and mockery from colleagues and a boss who found the finding so controversial, he asked him to leave the lab. Most crystals are composed of a three-dimensional arrangement of atoms that repeat in an orderly pattern. Depending on their chemical composition, they have different symmetries. For example, atoms arranged in repeating cubes have fourfold symmetry. Atoms arranged as equilateral triangles have threefold symmetries. But quasicrystals behave differently than other crystals. They have an orderly pattern that includes pentagons, fivefold shapes, but unlike other crystals, the pattern never repeats itself exactly. 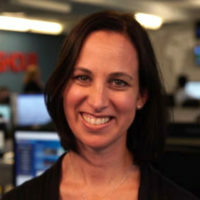 Pat Theil, a senior scientist at the U.S. Energy Department’s Ames Laboratory and a professor of materials science at Iowa State University, uses the analogy of tiling a bathroom floor. Only tiles of certain shapes fit together snugly without creating unsightly holes. But since pentagons can’t fit together like squares or triangles can, nature places other atomic shapes into the gaps. Glue atoms, she calls them. Shechtman first saw the startling image while studying a rapidly chilled molten mixture of aluminium and manganese under an electron microscope. It was April 8, 1982. What he saw appeared to counter the laws of nature. He entered it into his notebook, and jotted three question marks next to note. Scientists often study crystals using electron microscopes or X-ray diffraction. By measuring how the X-rays or electrons are diffracted, scientists can determine the patterns in which atoms are arranged inside the crystals. The finding was more than just conceptual. Quasicrystals have been used in surgical instruments, LED lights and non stick frying pans. They have poor heat conductivity, which makes them good insulators. However, their low tolerance and a restrictive French patent has limited their practical applications, Thiel said. The real implications of the discovery may still lie in the future, said Bassam Shakhashiri, professor of chemistry at the University of Wisconsin-Madison and president-elect of the American Chemical Society. Image by Flickr user CORE Materials.